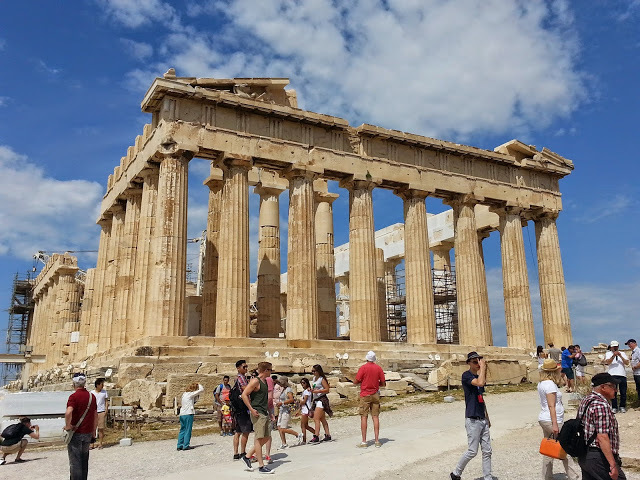 Athens: Acclimating to Athens; In the Footsteps of Paul at Mars Hill; Finding "Mr. Right" in Athens (Or Why We Chose Hotel Attalos); The Acropolis (Photo Essay); The Temple of Hephaestus; Kitties of Athens; Athens Photo Fails. Santorini: Oia, Greece ~ Where the Town IS the Attraction; Paradise Is Spelled "Oia"; An Ill-fated Journey to Atlantis (Akrotiri).